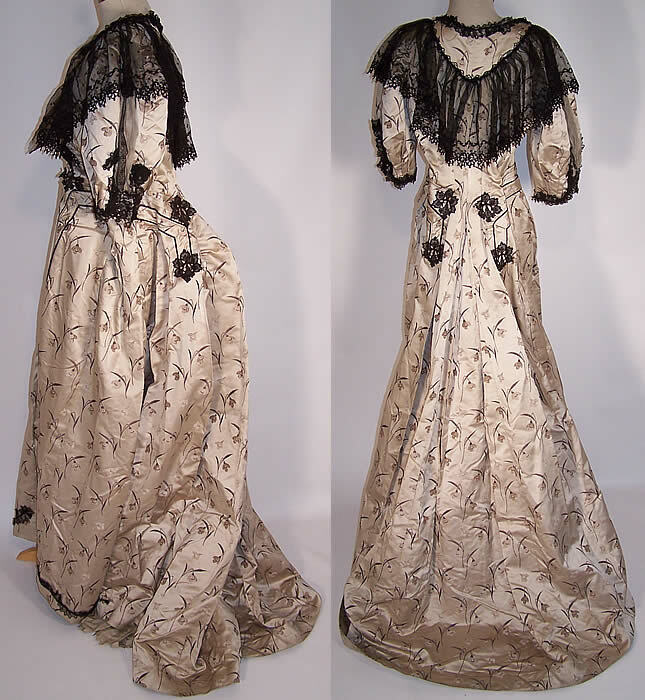 This antique Victorian era floral silk brocade black lace bustle ball gown skirt train dress dates from 1880. 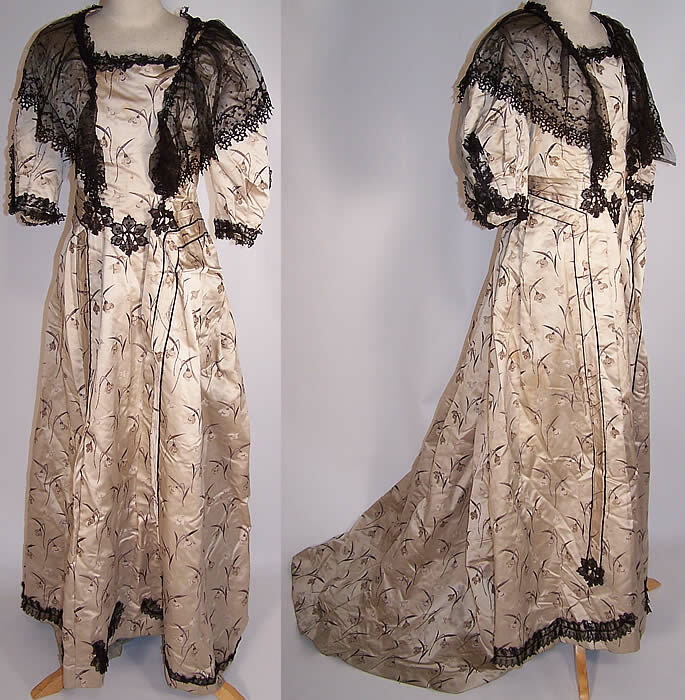 It is made of a grayish brown taupe color silk brocade damask fabric with a tulip floral pattern design. 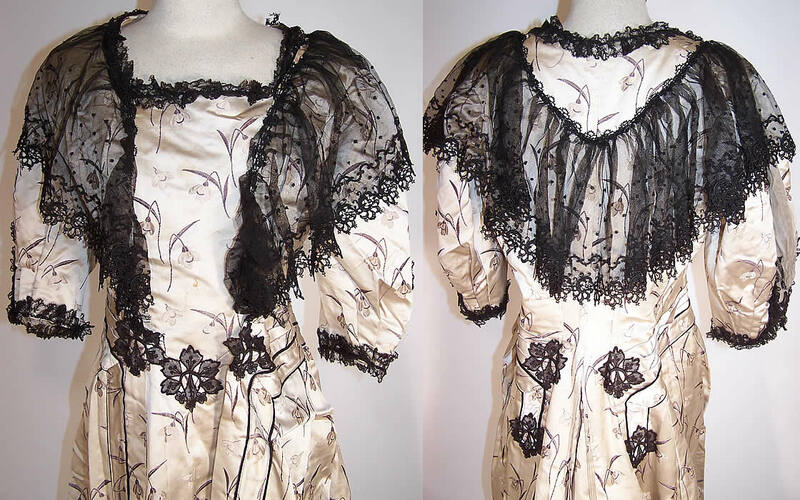 There is a sheer black lace polka dot net large flounce shawl collar, with black silk floral applique trim accents. This beautiful bustle ball gown dress has a squared front neckline, 3/4 length puffy sleeves, a pleated drape bustle back long train skirt, with hook & eye closures. 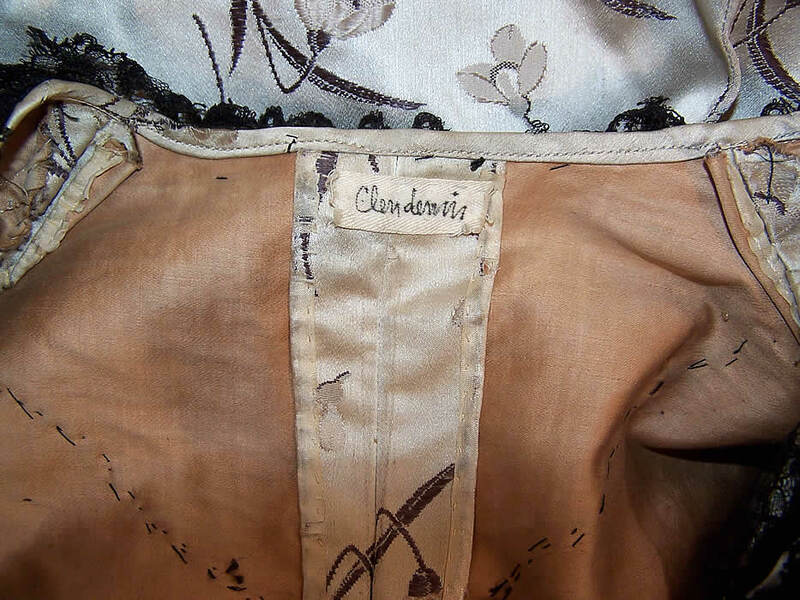 It is lined in a polished brown cotton print fabric, with a dust ruffle petticoat skirt lining underneath and the owners name tag label sewn inside. The dress is a large size, measuring 57 inches long in the front, 72 inches long in the back, with a 34 inch waist, 36 inch bust and 13 inch back. It is in good wearable condition, with slight underarm discoloration, some faint age spotting on the front bodice and skirt (see close-up). I love seeing the larger sized gowns. Not everyone was tiny, even back then.